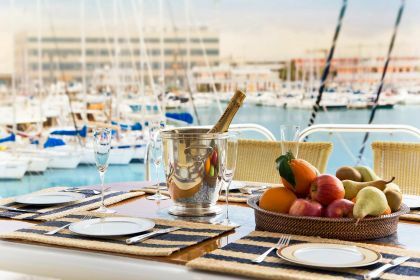 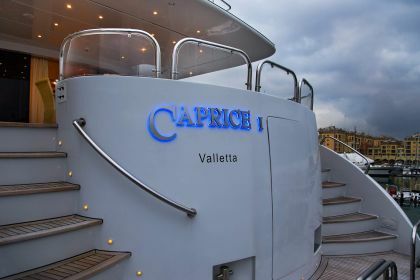 Recently refitted and new to the charter market, superyacht CAPRICE I can accommodate 8 passengers in style as well as her qualified crew of 5. 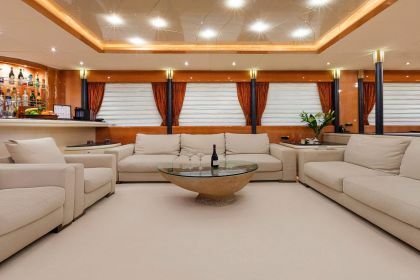 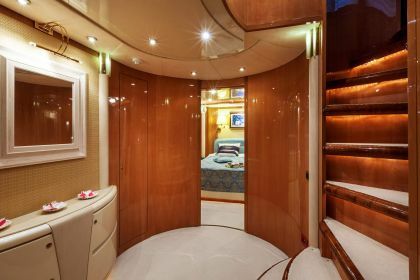 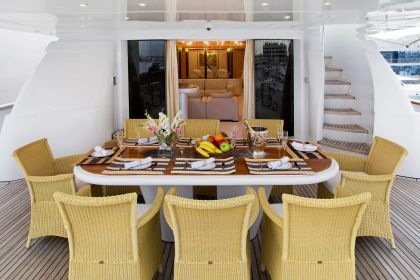 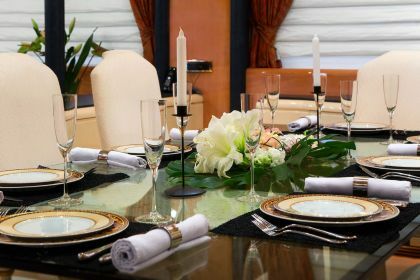 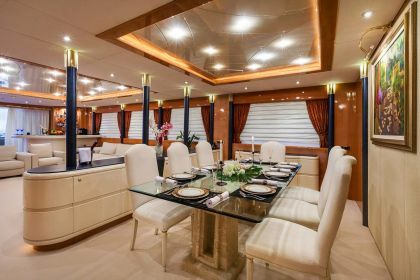 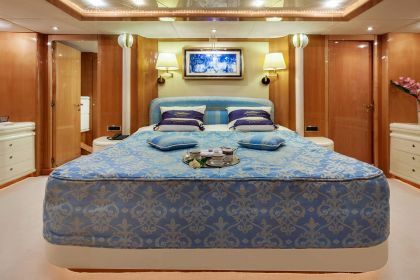 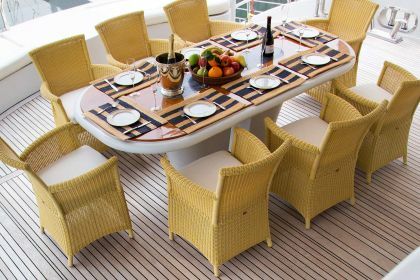 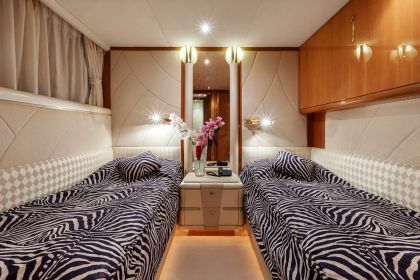 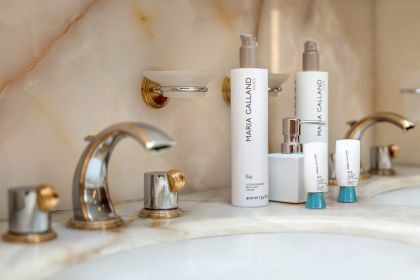 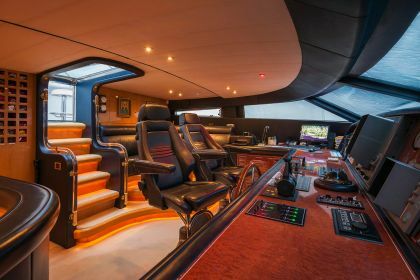 Designed by Arrabito Naval Architects; interior design by Evan K. Marshall. 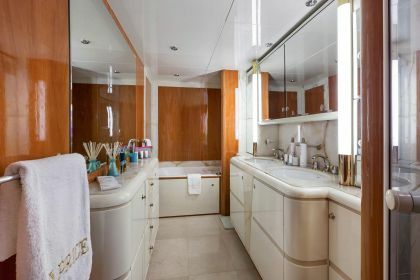 In excellent condition – previously only for private use. 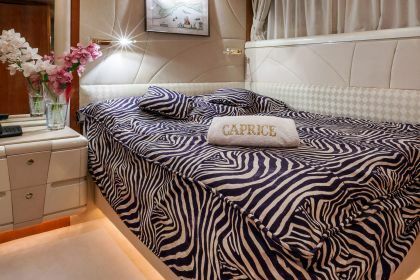 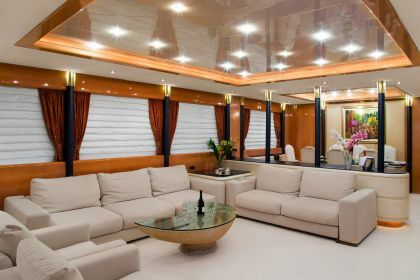 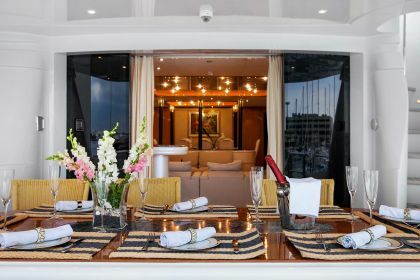 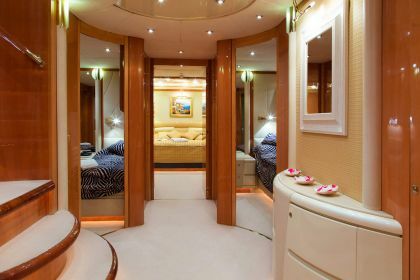 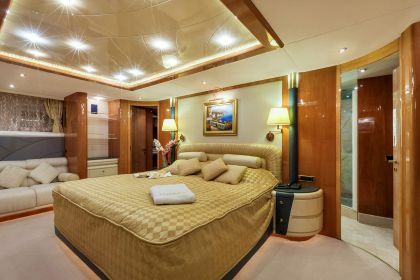 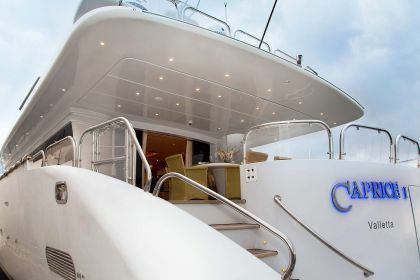 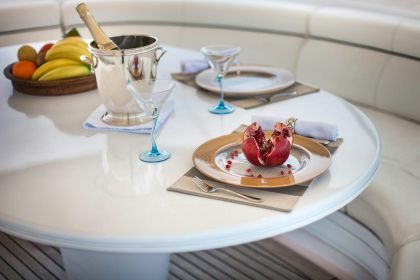 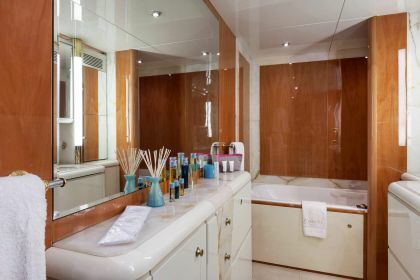 Motor Yacht CAPRICE I received her elegant interior designing from the interior design firm of Evan Marshall. 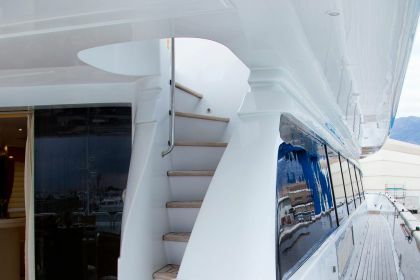 Created at Italmarine the vessel was constructed in Italy. 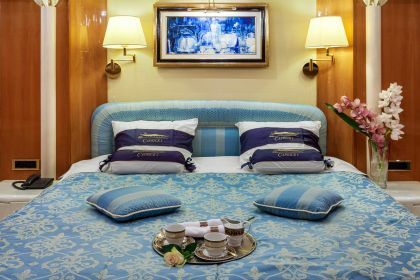 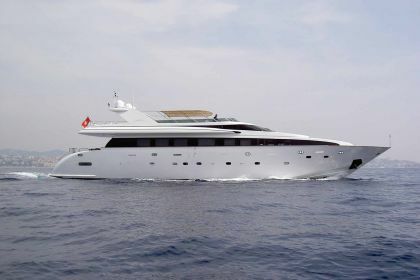 She was officially launched in Viareggio in 1998 before being delivered to the owner. 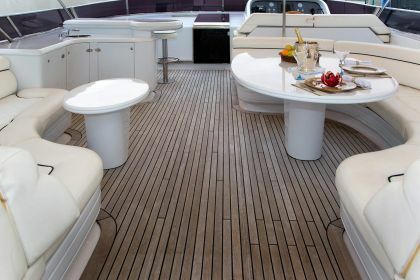 The main hull was crafted from composite. 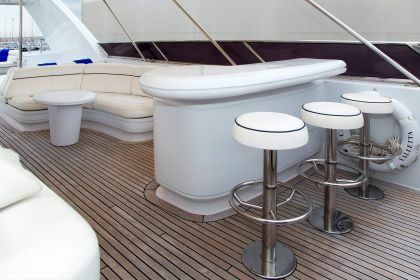 The motor yacht superstructure component is fabricated for the most part with composite. 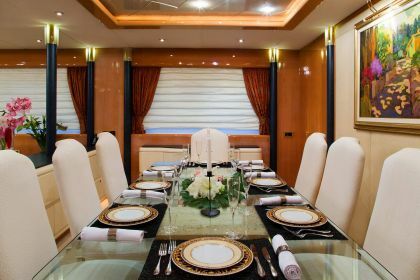 With a beam of 7.44 m / 24.4 feet CAPRICE I has moderate interior. 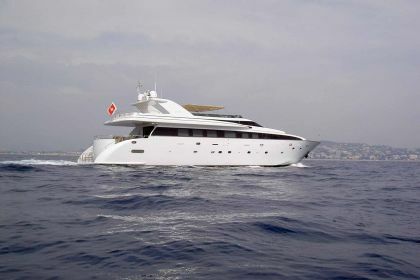 A shallow draught of 2.13m (7ft) selects the amount of overall ports she can visit, depending on their minimum characteristics. 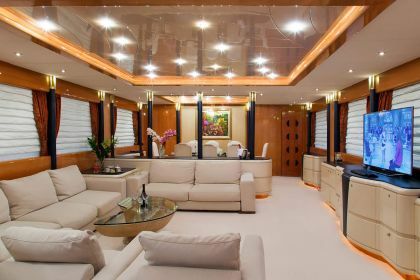 Latest refit 2016! 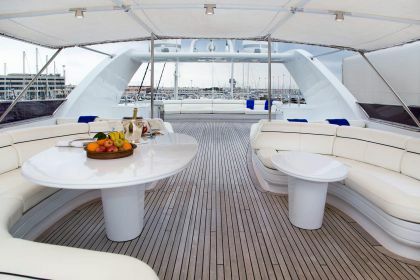 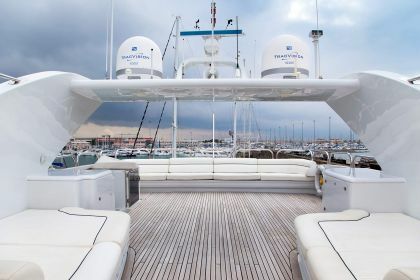 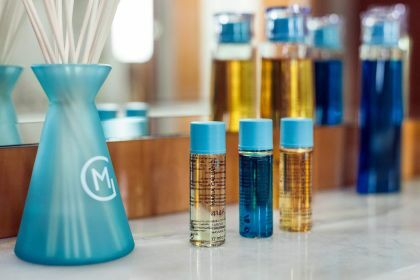 New to the charter market, private use only until now!